The 5 oclock shadow is sprouting up on jaw lines across the nation and Wahl is making sure guys sporting this look have the tool they need to keep it in check. This Lithium Ion Beard & Stubble Trimmer keeps up with the reputation that Wahls Lithium Ion family is known for, including a sleek body, nearly three hour run time and a one minute quick charge feature for touch ups. It also boasts a longer lasting battery, and with normal use, consumers can wait up to one year between charges. 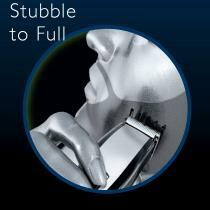 In addition to being powerful and long lasting, this trimmer also has an integrated guide comb system with seven different cutting positions. The new design is about keeping it simple for the job at hand, while also allowing for easy maintenance for guys who live by the motto less is more. Its also sleek and stylish, courtesy of its brushed metal trim package. Now in its 95th year, Wahl Clipper Corporation is an international industry leader in the manufacturing of products for the professional beauty and barber salon trade, consumer personal care and animal grooming. 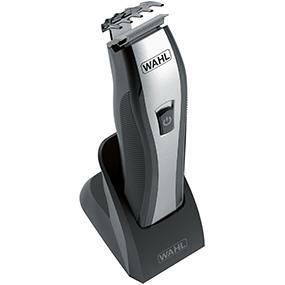 Headquartered in Sterling, Ill., Wahl currently employs some 2,000 people worldwide in Argentina, Australia, Brazil, Canada, China, England, Germany, Holland, Hungary, Japan, New Zealand, Russia, South Africa, Spain, and the United States. Wahl products are available in 165 countries around the world. 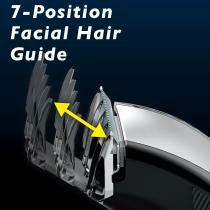 For more about Wahl, please visit www.wahl.com.